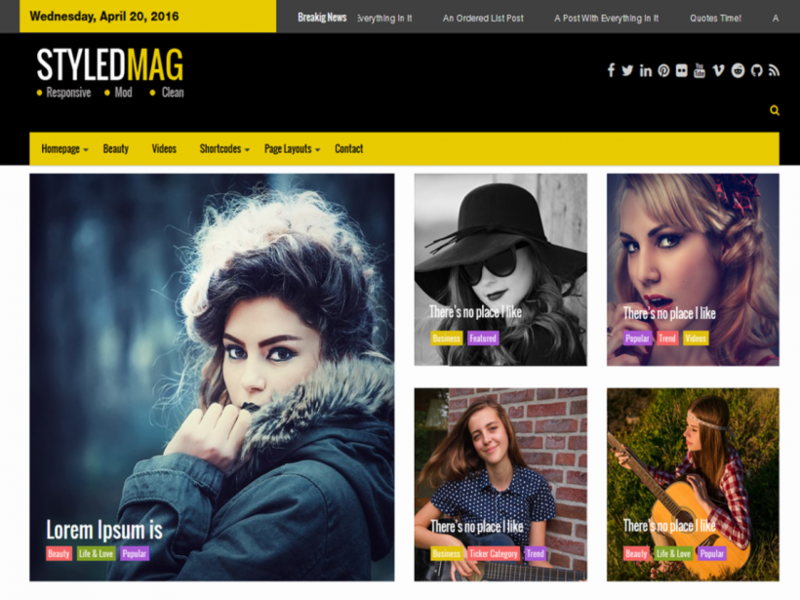 We’ve gone back to an original concept of old school blogging with a modern twist that brings more to just a standard blog theme. Luminescence offers unique features such as equal height columns plus much more! 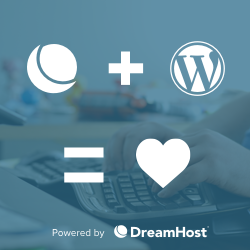 It’s scalable, compatible, and definitely gives you stability by focusing on WordPress standards. There are many features built into this theme to give you a bit more flexibility when creating and writing posts or when you simply want to run a page based website, Luminescence has you covered! 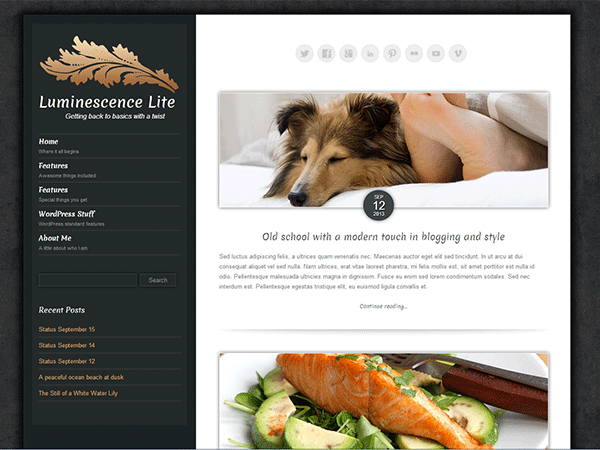 Luminescence is though specifically developed keeping thoughts about the writers, we have also added the features to make this theme a premium multipurpose theme. 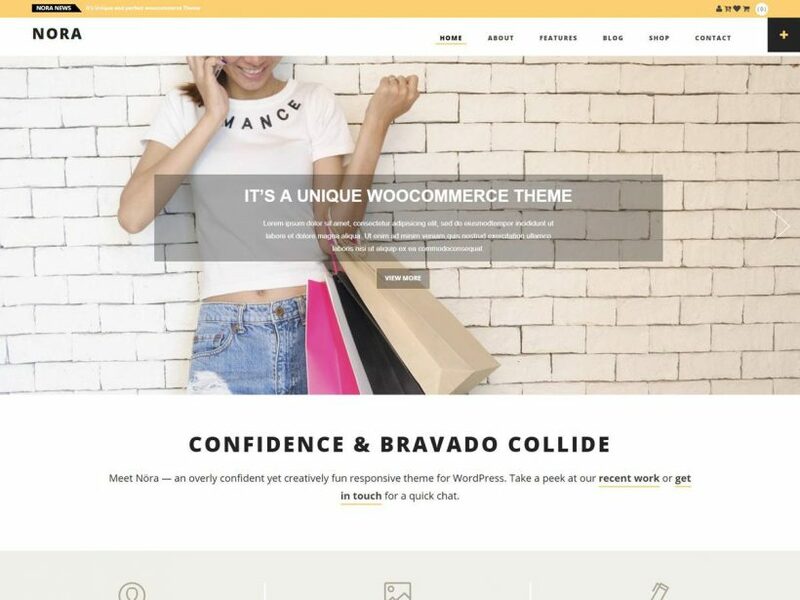 Whether you are developing a website for yourself or for your client, you will be able to enjoy using premium blogging theme Luminescence due to the theme customizer. Using the theme customizer will help you get the real time view of the changes that you make on the settings and a preview of how your site will look after saving the settings. Along with the most important features for a modern blogging theme such as retina ready display, responsiveness, multiple blog template, we have also taken note of the features that you will want to add to your site. For this, we have gone a step ahead than most of the WordPress Themes and added compatibility for Jetpack with which you will be able to include your desired features. 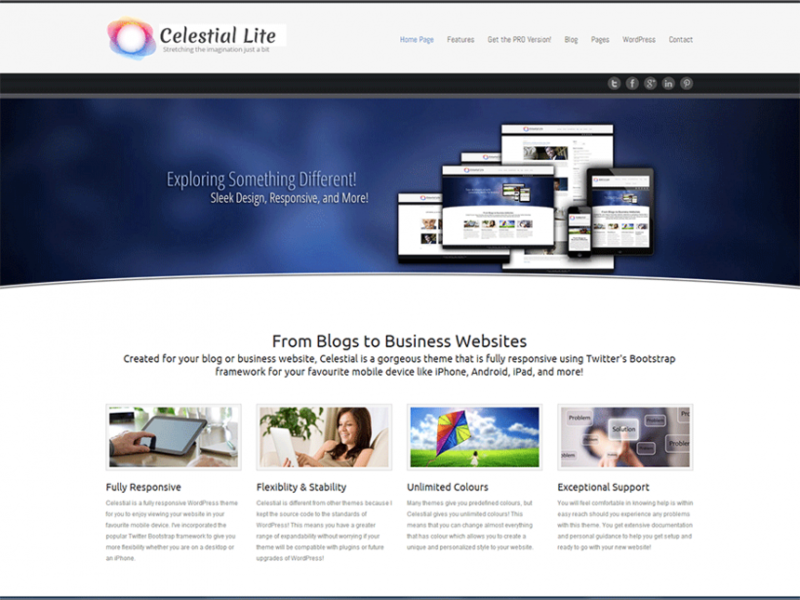 Alike with all our other themes, we also provide video tutorials, documentations, and premium support for this premium blogging theme.